Picasso reportedly once said good artists copy, great artists steal. You may feel pressured to always come up with a unique idea for your business, especially if you’re in the marketing space, but your ideas won’t always be original, and that’s A-OK.
It’s a good idea to learn from other great email marketing examples out there and implement some of those techniques in your own strategy. Threadless is a creative clothing retailer based in Chicago. The first thing that stands out in the Threadless opt-in form is the simplicity of the form and how they focus on the most important thing – the customer’s email address. When running a campaign, you should not bother with other details like location and gender right away. If you’re asking for two entries, a name and an email address is enough. Yes, you may need the other details to segment your list but the important thing is getting people in the list, and single input opt-ins make that happen. Once you have them in your list, you can then ask for the other details to segment your list and Threadless does this well. Another thing you’ll notice once you’re in is how words are used to provide benefits rather than issue commands. “GET BETTER EMAILS” is used in place of the boring “UPDATE YOUR EMAIL PREFERENCES.” Sounds better, right? You can add great email marketing to the 1001 things you already know the e-commerce giant is good at. Amazon, through Associates, is trying to help its affiliates solve the one problem that’s common to all of them; content idea generation. That’s what the plan looks like for March and if many of them find these topics interesting, it means more content that will provide referral traffic to Amazon. You can implement this tactic in your business by looking for areas where an action taken by a partner will improve sales and motivate them to take that action. How many companies fail to provide direction in their welcome emails? Too many to count, right? Trello, the project management application has one of the best welcome notes out there. They don’t assume you know your way around. Instead, you’re taken from the first step to the next on the different things you can do with your Trello account. Each step has a little note explaining why you should perform the action and possible benefits if you do. Do this in your business – give clear directions, even for the most mundane things. Remember, a welcome email that provides direction is the first thing you want a prospect to see. That’s just one of the almost fifty posts per email you’re receiving daily, and all those posts are competing for your attention. Medium does a great job by providing snippets of these posts to readers before they click, so every writer has about fifteen words to sell a post. The snippets influence what posts people finally decide to read, because they can’t read everything. Medium’s emails teach how short, useful descriptions can get the click. Not everyone will open your email, and from the opens you get, many close after the first two lines. In a world of declining attention spans, you should try to keep your intro lines short, explanatory and inviting and get right into the meat of it – especially if you have a lot of meat. Bitly is a link management system used mostly for link shortening and if there’s one thing you want to learn from them, it’s how they handle low email open rates. Asking subscribers why they’re not engaging with your emails is a strategy that rarely works. Do this instead; provide value. Bitly sends emails like this to subscribers who haven’t used their services for some time. Very few people will be able to resist the “see how many clicks your links are getting” line especially if they’ve created an important link in the past. If you’re managing a dead or dying list, one way to get it up and running is by offering services people can get immediate value from. Wordfence is a WordPress security plugin and if you have it installed on your site, you should receive weekly notification reports. There’s an option to upgrade to the Wordfence premium plan, which provides improved security, after every email but this report makes a good case for how the company provides value before proposing an offer. An easy way to make money from your list even as a new player in your industry is to provide basic value everyone can access and put advanced offers up for sale. Wordfence displays the security status of your site and you don’t even need to leave your inbox. If there’s one thing that it teaches, it’s that offering high-value information through email is a good way to build brand trust. Fiverr is the world’s largest freelance marketplace so you can imagine that a lot of their email marketing will involve promoting offers to entrepreneurs. They get straight to it and remind you of what you’re likely to miss out on in a few lines. Selling shouldn’t be a dirty word if you’re doing it well. Let’s face it, everyone who signs up on an email list knows there’ll be an offer somewhere down the line. How do you deal with expiring offers? By keeping it simple while giving the customer a few steps to take to redeem the offer. That’s the bottom part of the same email and it just demonstrates boring legalese in the “terms and conditions” section of the same email can be transformed into a good pitch. One thing we all can learn from Namecheap, the domain registrar, is how to use colours and art in our emails. Every email from Namecheap is delivered in a stylish design that doesn’t fail to get the point across. You can implement this in your business by analyzing what colours people engage with more in your emails, but you can play it safe by following some unwritten rules. It’s generally agreed that the a high-contrasting colour should be reserved for your call-to-action button and here’s Namecheap doing that. This is a Christmas offer and you can see the stylish ways Christmas trees are represented in the bottom part of the art. Do this for a change – start playing with stylish colours in your emails. If you have a service you want new subscribers to feel comfortable with, how do you encourage usage in a clever way? Each step that hasn’t been completed is a link so you can get right to it from your inbox and progress bars are things that always inspire action. The email with the highest open rate is most likely your welcome email. At that point, people are asking, so what do I do? 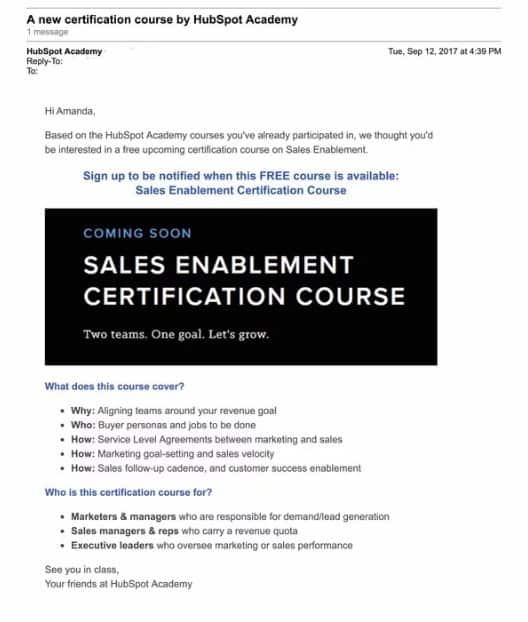 Creating an email like this and directing prospects on the next steps to take is a warm way to welcome those new opt-ins. 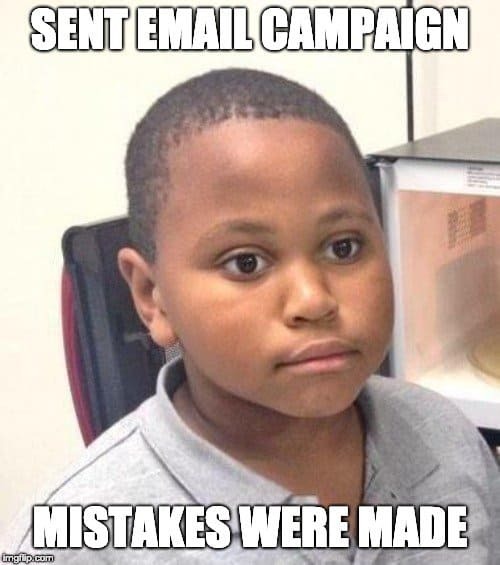 If they take one step and forget to take the next you can send a reminder email linking to a button they can click on to complete a particular step. The Hoth is an SEO agency that does well with delivering tidbits of their blog posts that provide a general summary and encourage those that want to read the entire post. One reason your emails are not driving traffic to your blog posts is that you’re either telling too little of the story or too much of the story. Use line spacing to encourage scanning and use bullets to talk about the benefits in store for those who actually read your post. If you provide monthly roundups of blog posts and important news on your business it will be even harder to sell each post, but just using bold fonts on your headers is a good start. PayPal is one of the world’s largest online payment processors and it survives on business transactions that occur mostly on other platforms. That’s PayPal encouraging people to do business and even providing articles to business ideas they can work on. Guess the first payment processor that will be on the minds of subscribers if the online business starts making money? You can implement this in your business by promoting shoulder niches in your industry. If you’re a web designer, content writing is a shoulder/related niche. You can use your emails to encourage people to hire writers from certain agencies you trust and pitch your design service if they ever need help with those posts. Flippa is a marketplace for buying and selling online businesses and if there’s one thing e-commerce sites can learn from their marketing, it’s how they deliver listings via email. It can be difficult mining through thousands of listings on the site so Flippa mines the best deals and saves you the stress. This is how it appears in your inbox. In this example of a listing for a gaming store, the first question that pops up on the minds of everyone looking to buy the site is, “Can I make my money back?” and this image captures all the important data. It’s a five-year-old site with a record of profitability so you can tell it’s not some 6-month project that someone got lucky with. A bit of the site design and content management system (Shopify) is also on display so you can decide if that’s something you’ll want to change or not. You can’t be interested in content marketing without coming across Copyblogger, it’s referred to as the bible of content marketing on the web. Copyblogger publishes a lot of content weekly and that’s a factor for being thrown into spam if you’re sending out emails daily. With one weekly email broadcast called Copyblogger Weekly, you get details of all the posts published in the past week. There’s a short summary of all the posts in the body of the email and beautiful links to each of them if you want to read the full post. There’s something to learn from this; keep your emails to one or at most two broadcasts weekly. It doesn’t matter how interesting you are, people will be overwhelmed if you have little to say every day but email them anyway. Google is one tech company that’s everything from a search engine to a payment processor. If there’s one important component of Google’s email marketing strategy you want to learn from, it’s constantly assuring users of their safety. That’s the standard email you’ll receive when you sign up to a service that requires access to your Google account. The email also includes links to report if the access was unauthorized and how to remove a connection at any time. If you run a business that receives sensitive data like credit card information, use your email broadcasts to build brand trust by demonstrating to your subscribers how you’ll secure their information if they buy from you. Backlinko is an SEO training business for digital marketers. The founder, Brian Dean’s use of a strategy he calls the content upgrade is something you can implement in your own business. The content upgrade formula works by identifying high-traffic pages on your site and offering lead magnets tailored to that page to get subscribers. That’s a post on the skyscraper technique, a content marketing strategy and the little box above it provides a link to the content upgrade for this post. That’s a digestible summary of the original post. Just so you know, Brian got a 785% increase in conversions by using this strategy. It showed that targeted lead magnets convert more than generic ones. I mean, it makes sense that people reading a skyscraper technique post will be interested in a resource on the same topic. Now that’s email marketing inspiration for increasing your subscriber count. Use it wisely and reap the results.